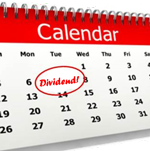 What does ex-dividend date mean? When do you have to own the stock to actually get paid the cash? 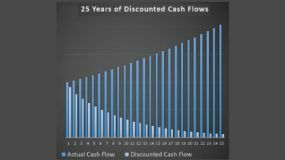 This page looks at the crucial dates for cash dividends and what they mean. "I remember that when I first started investing, I sold a stock and, about a month later, I received a check for it. That's always a nice feeling! How could I get paid after I sold it? Well, I actually sold the stock AFTER the ex-dividend date meaning that I was owed the payment. 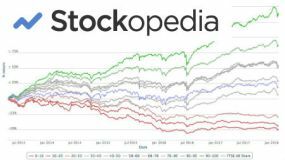 Nowadays it is rare for me to sell stocks at all but it is definitely worth knowing when you're due your payment and when you need to own the stock by to get that payment." This is when the Board of Directors formally announce and declare the dividend. This date does not have to be on the same date as the earnings (or results) date. Often the Board of Directors may signal their dividend policy of dividend intentions in an earnings update but this is not the same as a formal declaration. On the declaration date, the company will announce a record date which is the date that you, as a shareholder, must be on the company's books in order to receive that dividend. This is the key date that determines who gets paid! In order to get paid the cash dividend then you must own or purchase the stock BEFORE the day when it goes ex-dividend . If you purchase the stock on this day, then you will NOT get paid - it will be the seller who receives that check. So, for example, the most recent dividend declared by Johnson and Johnson went ex-dividend on Feb 24th. This means that if you bought the stock on Feb 23rd then you would receive the next dividend but if you bought the stock on Feb 24th then you would NOT receive the next dividend. It is important to know that the stock price may be reduced by the amount of the dividend on this date. For example, if the stock of XYZ Plc is trading at $100 per share and declares a dividend of $1, then the stock price should go down to (roughly) $99 on the morning of the day it goes ex-dividend. You cannot simply purchase the stock on one side of this date and sell it a day later so you can make a quick buck. Wall Street doesn't give free lunches! In the same way that if you give your kids $500, then you are suddenly $500 poorer, when a company pays its shareholders the equivalent of $1 per share then the company is effectively $1 per share poorer. We say the stock will go down by "roughly" $1 per share because, of course, the share price could move up or down from that level like it could on any other day. This is the day on which the company takes a snapshot (or records) which shareholders are on its register. This is when that the company uses to determine precisely who they pay or who they need to send financial reports or proxy statements to. The recording (and often the payment of the dividend) of the register on this day is normally done by the registrar. Examples of registrars include Computershare and BNY Mellon. In the United States (and the UK) the record date is normally two business days after the stock goes ex-dividend. 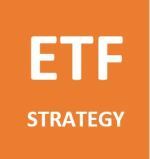 The ex-dividend date and record date rules for stock dividends, major dividends (more than 25% of the stock value) or spin-offs are different than the rules for normal cash dividends. The fun day! This is the day you actually receive the cash. 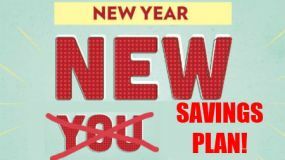 The cash could be paid direcly into your brokerage account on this day or you could have a check sent directly to you. You could also arrange to have the payment deposited straight into your checking account. It all depends on how you own the shares!